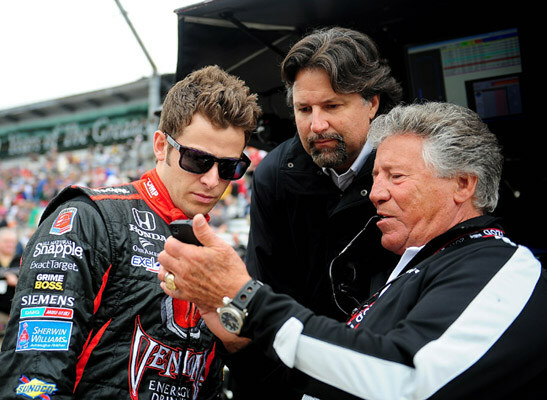 Mario Andretti, World Champion of 1978, at 74 years of age, is a living legend of Formula One. 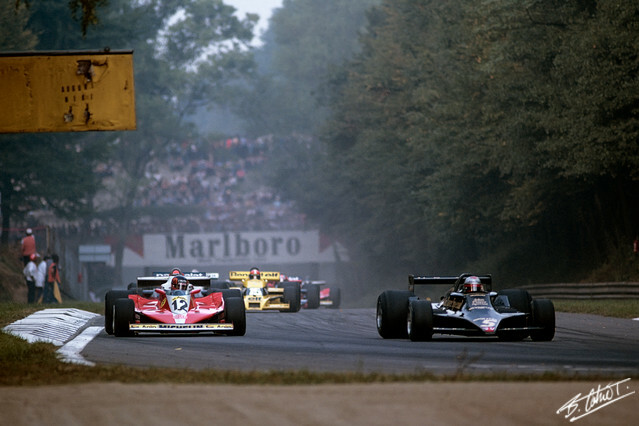 He spoke to me about an another legend who died at just 32: Gilles Villeneuve. What is your first memory of Gilles? It was when he had his first ride, I think, with McLaren. Basically there was a lot of interest in him in the sense what he would do. He was very interesting during his early career, he was very successful in the other areas of racing. He was one of those characters who created a lot of buzz. He was an easy guy to get next to and become friendly with. Did you find you had something in common both being from North America? Yes, to some degree especially when you look at Formula 1. Usually Americans and Canadians don't have much representation in Formula One. It was a little bit unusual with both of us being there at the same time. It gave us a special sense of camaraderie because of that. According some rumours when Lauda left Ferrari you were the hot candidate for his seat by Enzo Ferrari. Is that truth? Yeah, absolutely. In ''77 right after I won the Italian Grand Prix, I was invited to Maranello and I was offered a contract, but I had given Colin Chapman my word that I would continue with him, unfortunately... (He laughs.) Well, not unfortunately! I would have loved to commit, you know, a hundred percent for Ferrari, but the timing was always wrong for me. This was the second time I was invited officially to drive for Ferrari. The first time was the 1971 season when I won two races for them... But, again, it was always a conflict for me. It was too bad because whenever I was racing, whatever I was driving, just being together with Ferrari for me was something very special. 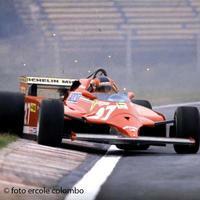 Gilles was an up and coming young talent in 1978 , your World Championship year. What was his reputation among the drivers? Well, I though from a standpoint of a colleague, he was very aggressive, no question. You only had to watch him and if you could easily see he was extremely aggressive. When he was hired by Ferrari they probably didn't expect this, still Mr. Ferrari kept him on despite the fact that Gilles destroyed his cars... But Mr. Ferrari loved his heart, I mean the way he applied himself, how much he wanted to win and be successful, sometimes in a destructive way, but that was his way. As time went on you got to appreciate that he was giving a hundred percent all of the time. There is something to be said for that. 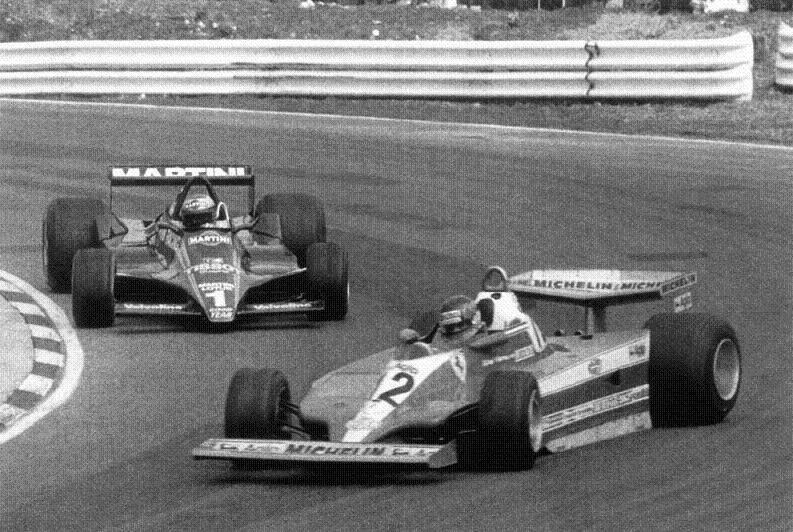 Your teammate in 1978 was Ronnie Peterson, and he had some trouble with Gilles on a few occasions. Did you talk to Ronnie about him? Not necessarily. I don't remember any instance when we discussed Gilles in particular. How was it fighting against Gilles on the track? I never had any problem with him whatsoever. 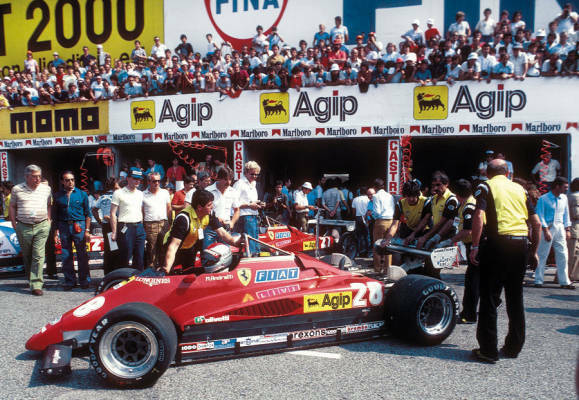 As a matter of fact, in Monza 1978, when he and I were first and second and were penalized after the race, I was having some brake problems and stayed behind him, but two laps from the end I took a big risk. I tried to overtake him under braking going into Ascari. He acted very correctly. He did not close the door on me as he knew it could have been a big crash, I don't know if he was aware of my braking problem. Naturally I appreciated that he used his good judgement. I can tell you I didn't have any issues with racing against him. Yes, he was aggressive but he was not an idiot. 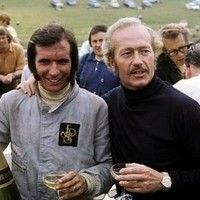 He was intelligent and a very good all round racing driver. He had huge talent. In 1979 he was together with Jody Scheckter at Ferrari - Jody won and Gilles lost due a few errors of his. Do you agree? I don't know. It's possible, but obviously it's easy to make judgements after the fact... But I can't remember any particular situation that comes to mind. I don't want to a be a judge at all. How was he off track? Did you socialize together? Any special memories? Yeah, sure. We did some socializing. I remember one instance, when were in Austria and we stayed at Schloss Seefeld in Klagenfurt. We had really fabulous time together. We did a lot of crazy, stupid things. He was just a lot of fun. As an individual, Gilles was a dear, dear guy. He was very likeable. He had a free spirit. He was always smiling. I liked Gilles very much. Why is Gilles' legend still so vivid? I think, because he was held in such high esteem by Mr. Ferrari. Everybody respected that. The things what he did, for example in qualifying were so spectacular, his mastery of car control to which he was even enviable. So, that sort of spirit resonates, after a while especially after he gained more experience everyone began to respect him more. He was one of those individuals, one of those drivers who never won a World Championship, but he gained status primarily because Mr. Ferrari just loved him and more than anyone he appreciated his heart…a heart of a lion. One said he was out there only to win the fastest lap, not more. What do you think? Well, that's hard to say. I mean, obviously, as you said, he had the opportunity to become a champion, but that didn't work out. It is what it is, I not going to give a judgement on it. 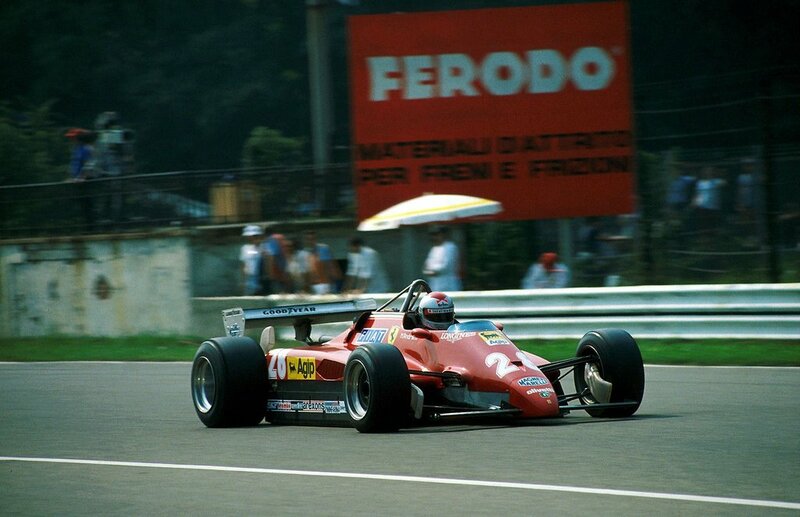 At the end of the 1982 season you drove for Ferrari in the last two races. What was the mood in the Ferrari camp after all that had happened during that season? That was a tragic year for Ferrari. I'm sure you can imagine. We didn't talk about it, we all felt it, no question. We had a job to do. Life went on. I was called to substitute for Didier. I certainly accepted that gladly, and things worked out quite well for me. I had a lot of experience. At least that part was ok. Quite honestly, Mr. Ferrari needed someone who could deliver in these moments. The season had gone so terribly. No question, Gilles was missed terribly because he was so well liked. He was a very special person. At Monza that fall, did the season'c circumstances generate a special energy which resulted your pole position and a very good race? Well, I can't say I did it for anyone, because I usually I go out to do the very best for myself. I was there to do a job. The car, the team, everything was good. I almost immediately felt very comfortable and confident with the car, even though up to that point I had never driven a turbo charged Formula 1 car. It's all about feeling good and having the equipment which gives you confidence. For me it was an experience what turned out very well. My objective was to do it for myself and the team. I had nothing to do with anything else. That was your farewell to Formula 1. 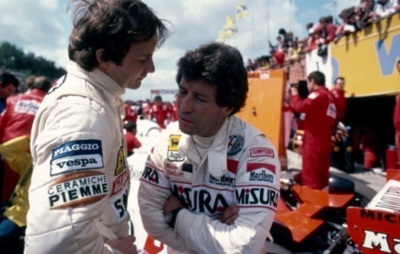 Did you have contact with Gilles' family and of course, Jacques? Oh, yes. I have contact with them even today. It was in Austin at the Grand Prix that I last saw Joann. I always had a very warm relationship with the entire family. I can mention another fact is that I like to go snowmobiling. They were snowmobile champions, so this was again something to talk about. It is a wonderful family with everybody being racers. Coming back to 2014 and to you: what is your schedule like, still busy? Yes, a very busy schedule for me all round. I've renewed all of my contracts. I'll be driving some cars, so I expect it to be a very active season. I am looking forward to the beginning of it. Could we see another Andretti in Formula 1 in the future? Oh, I would love to see that. I really would! We'll have to see if we have some opportunities. It would be great to have an all American team or something else to get one of our boys in there… I don't know. I would love to see that for sure. Üdv ! Nagyon jók ezek az írások,kedvencem a 70-es évek közepe ,vége.De sajnos nem tudok angolul.Kedves Károly nem lehetne magyarul is?